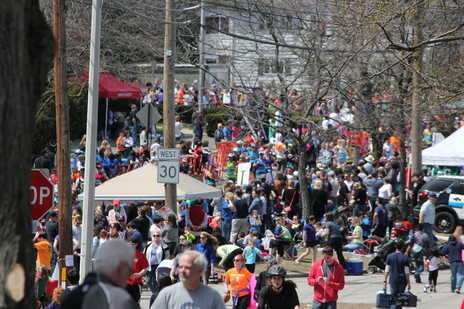 We had another great year watching the marathon in our usual spot near the Newton firehouse. 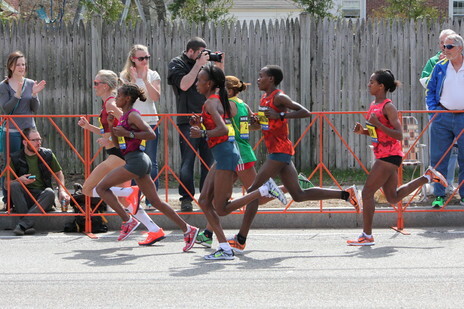 We arrived just in time to see the elite women. 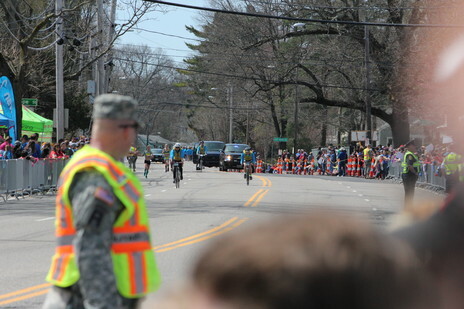 Although it wasn’t as obvious on TV, the security presence was noticeably larger. 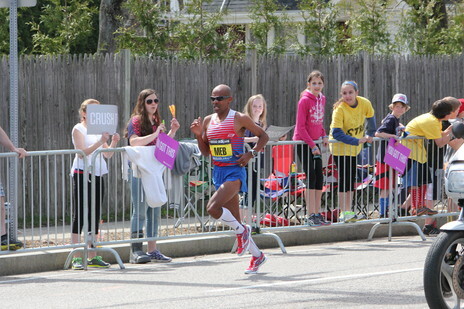 Twenty minutes after the women, Meb Keflezighi runs by, way out in front of the pack. 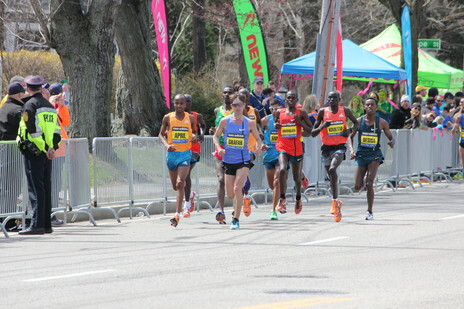 The elite men’s pack isn’t too far behind. 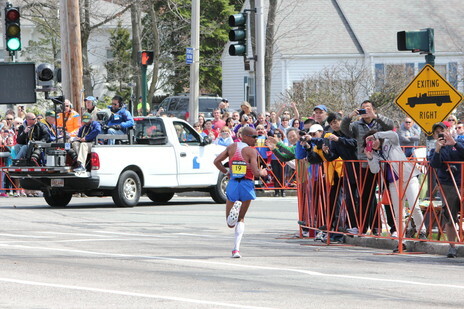 This year, the crowd on Commonwealth Avenue is the largest I’ve ever seen. 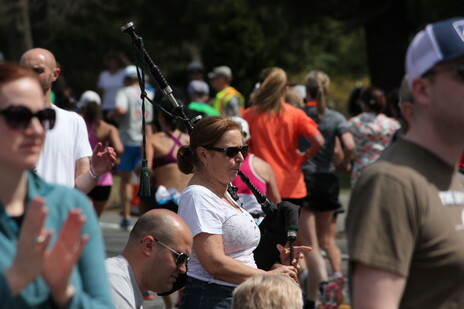 Despite the increased security, fans still cheer on the runners in creative ways. 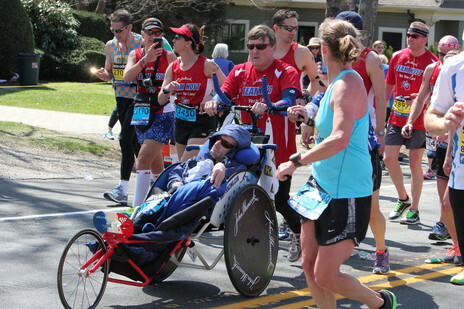 And the crowd absolutely erupts for Team Hoyt, possibly running their last marathon.